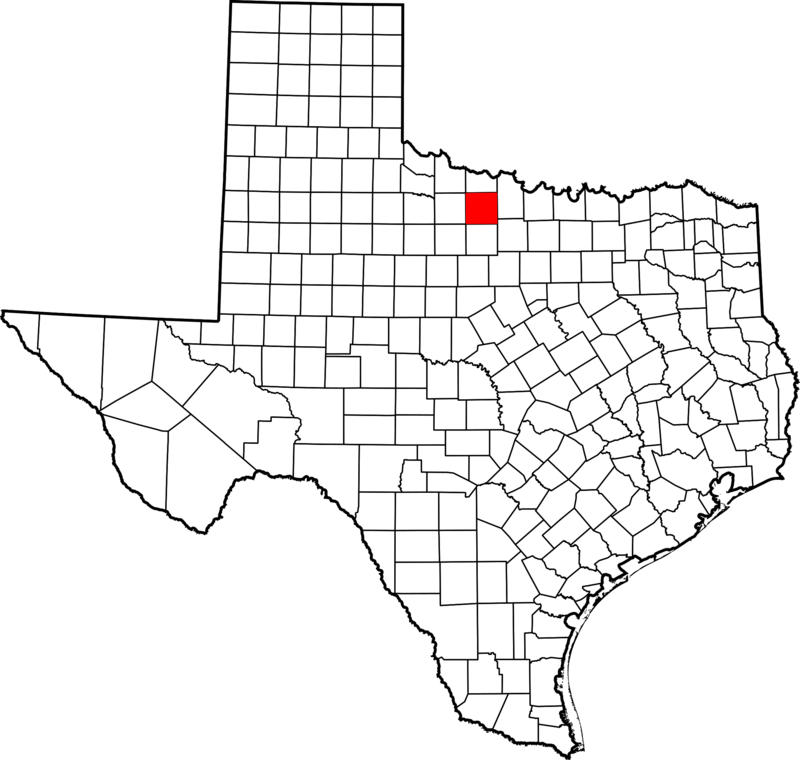 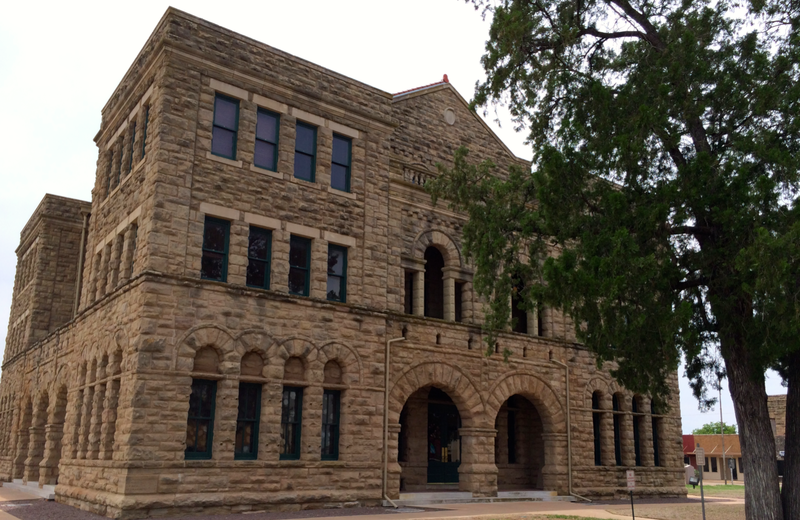 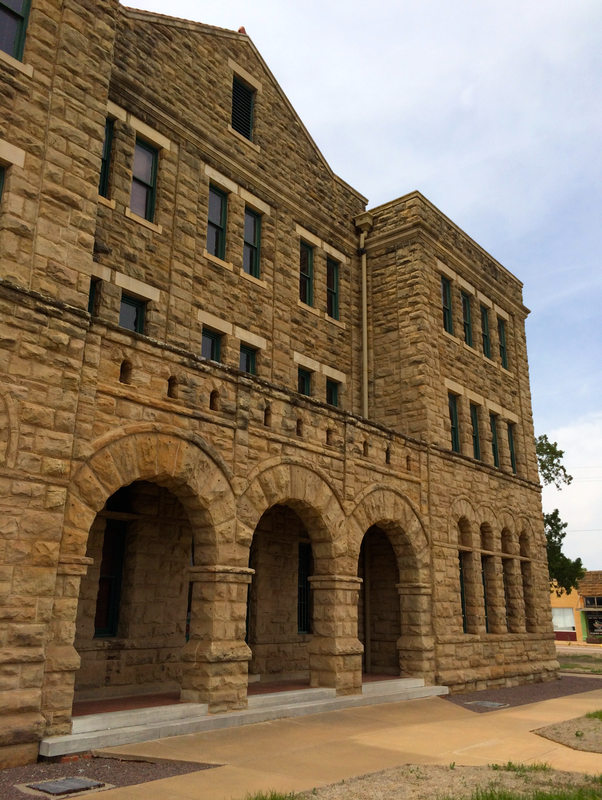 Both the courthouse and Archer City rank high on my lists of favorite courthouses and favorite towns in Texas. 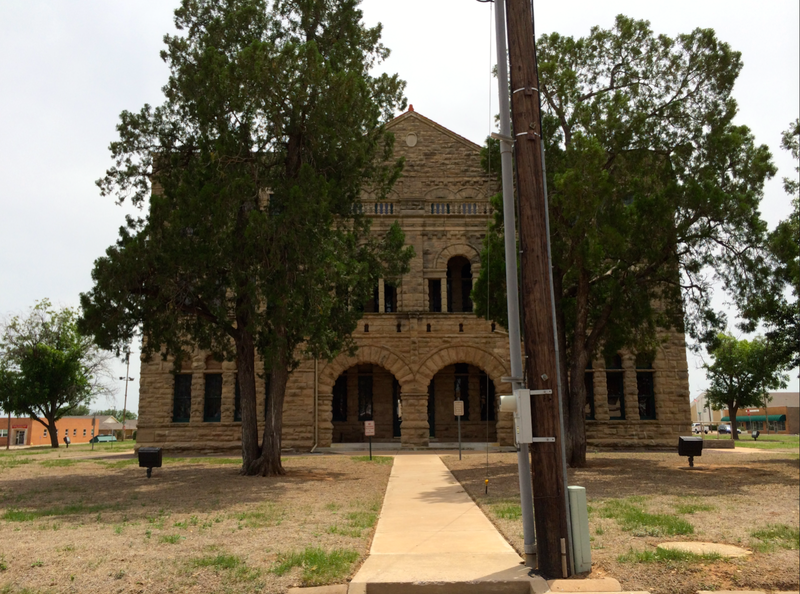 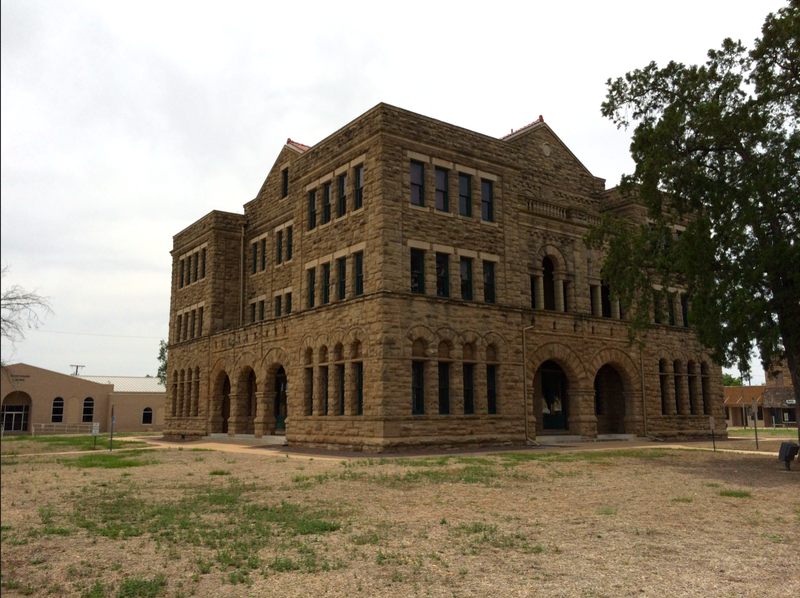 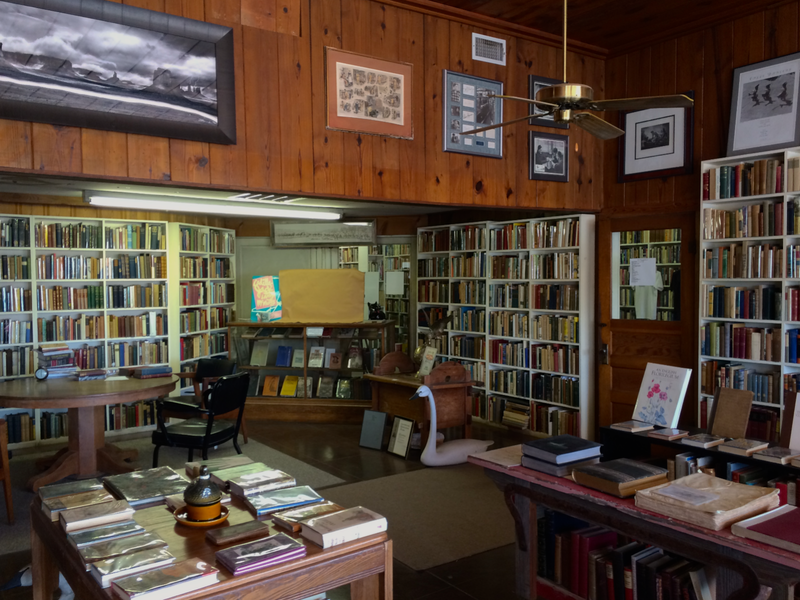 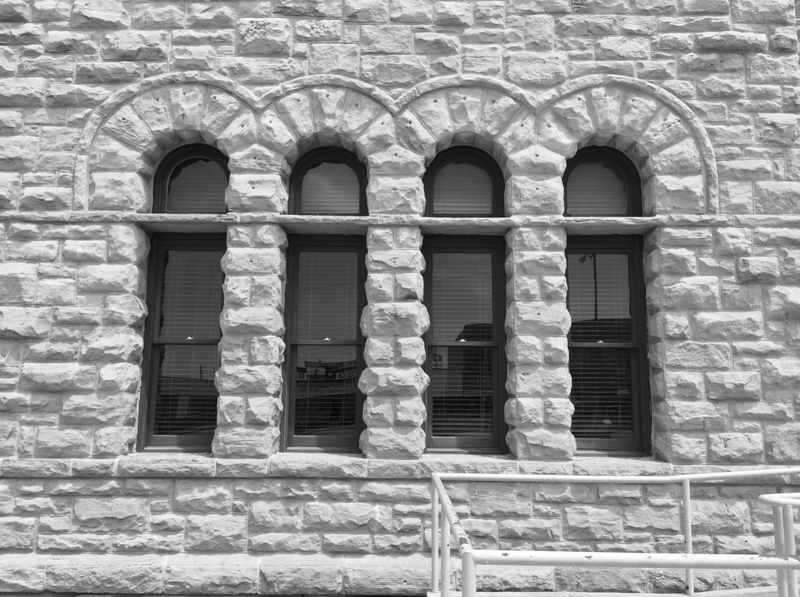 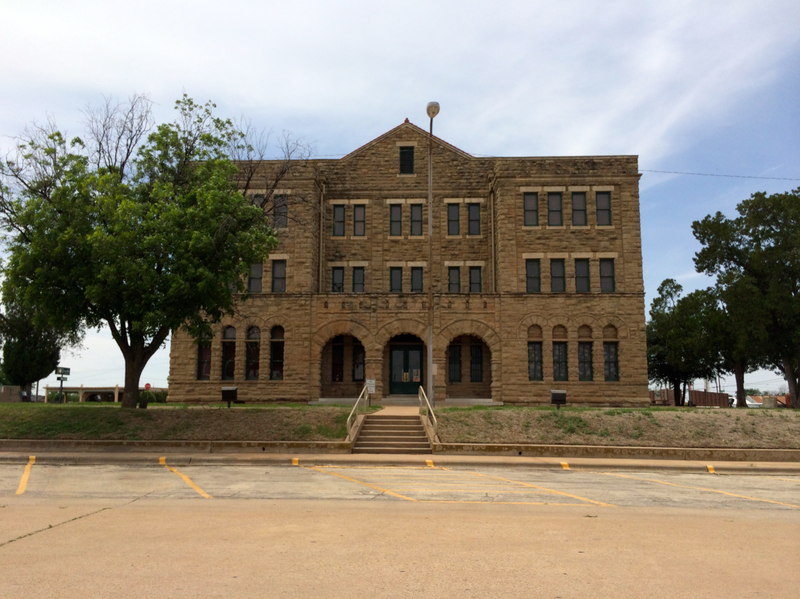 I was the guest of Archer County and Archer City on January 8, 2011 and returned to rephotograph the courthouse and visit “Booked Up” on May 17, 2014. 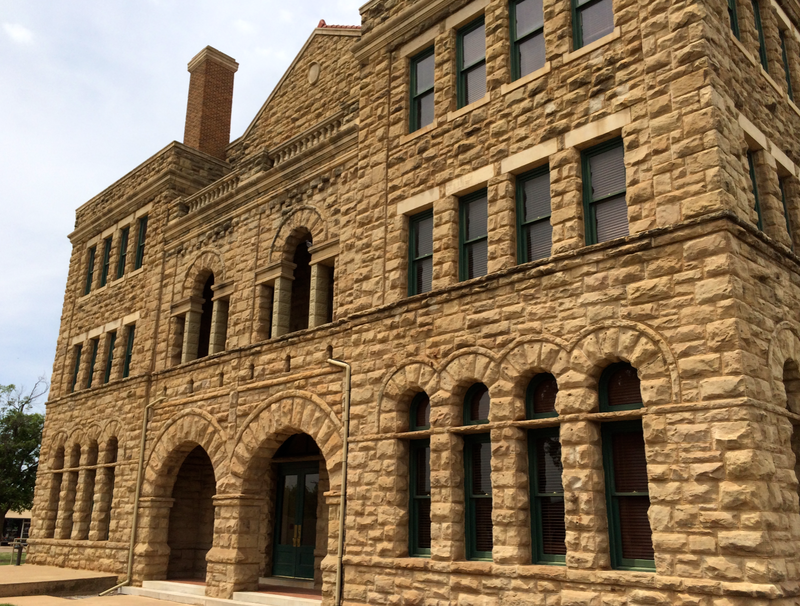 *In my opinion, this is one of the few courthouse remodelings in the state’s history that did not leave behind something hideous. 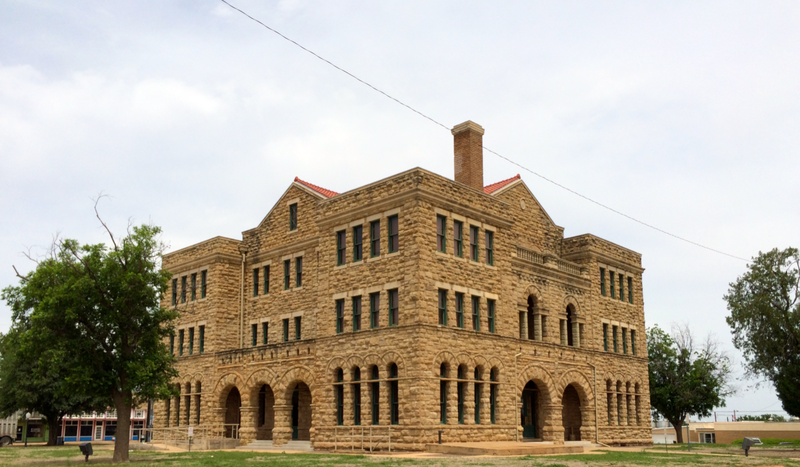 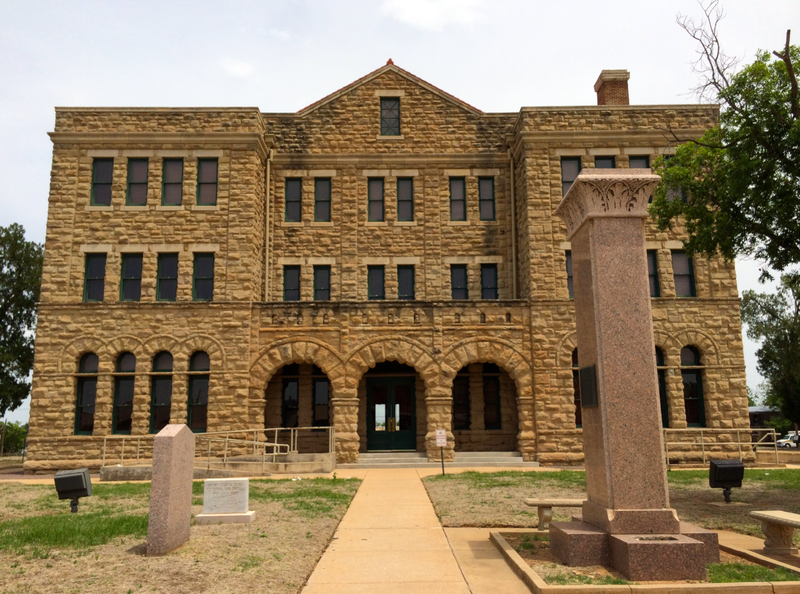 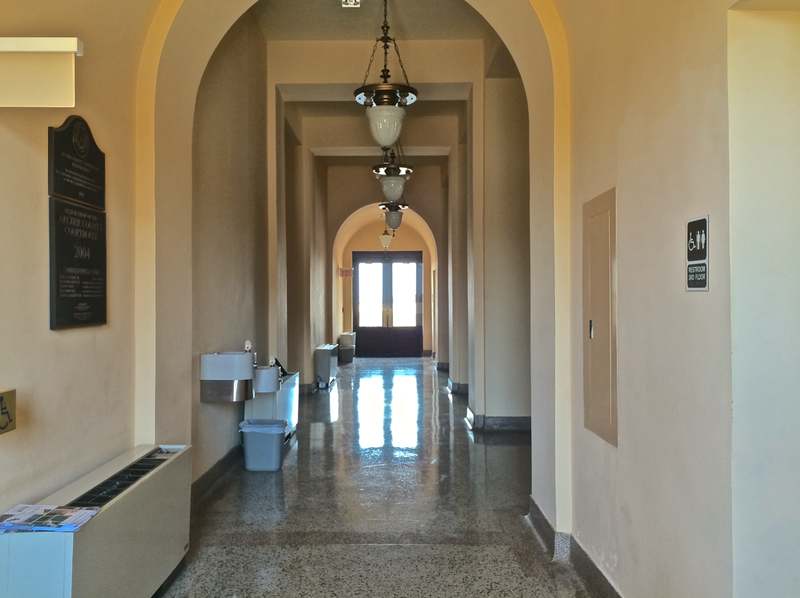 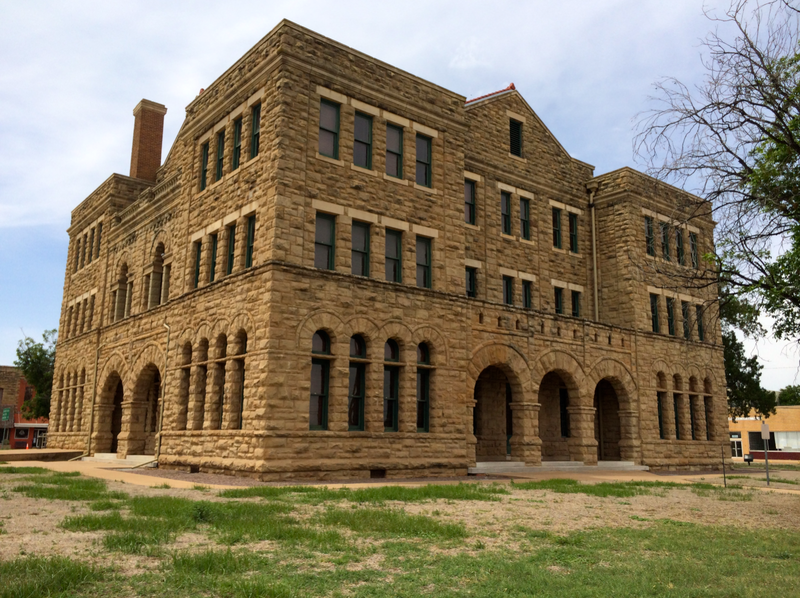 The remodeled Archer County Courthouse remains one of my favorites. 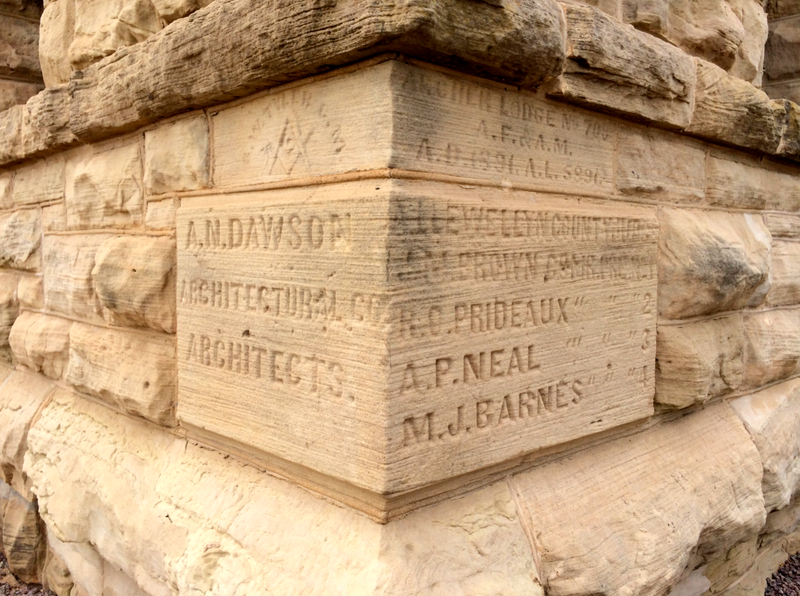 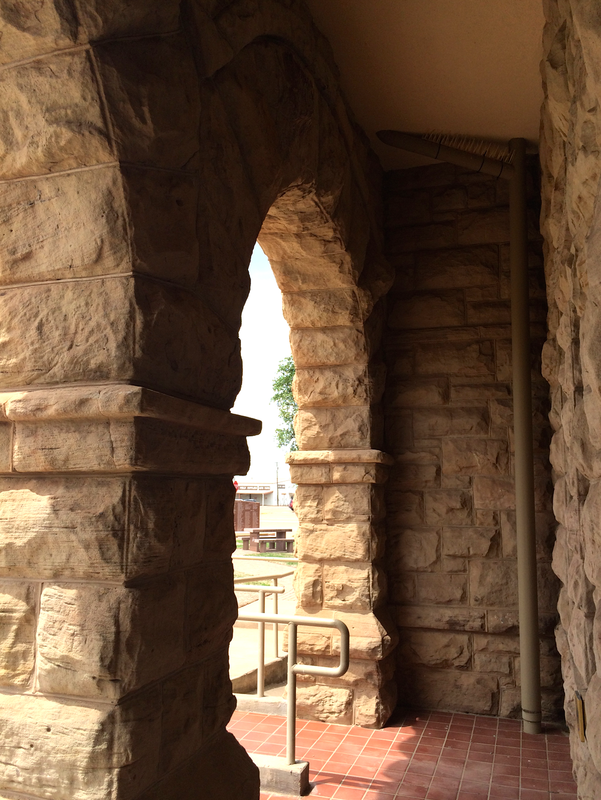 This quaint, sandstone building underwent a THC restoration in 2005 that did not replace its tower. 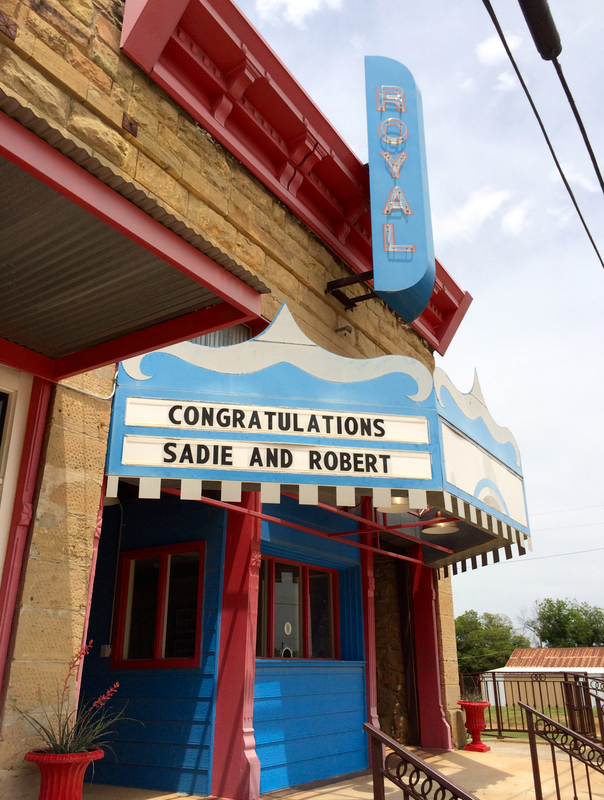 Perhaps it’s for the best. 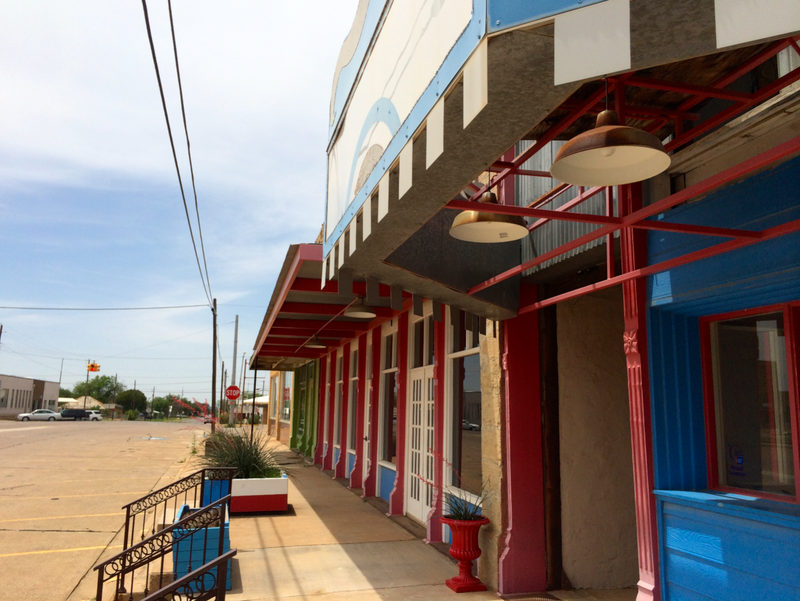 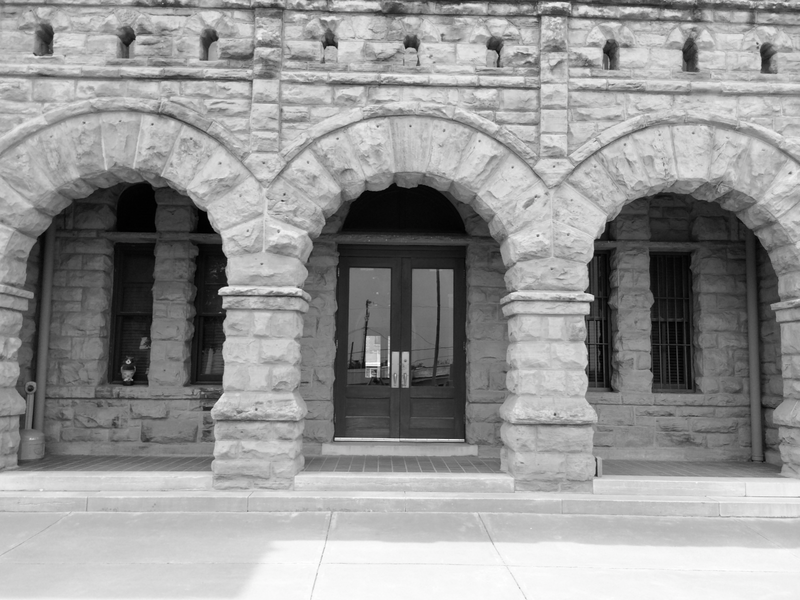 The main entrance faces west towards Center Street/Highway 79. 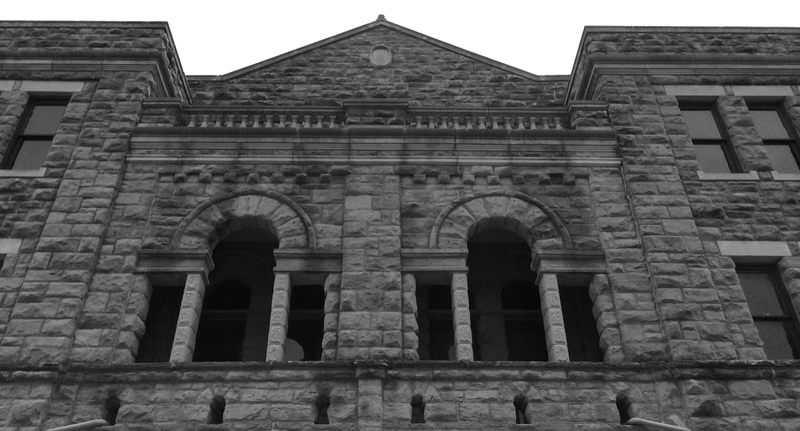 The northern façade faces Main Street/Highway 25. 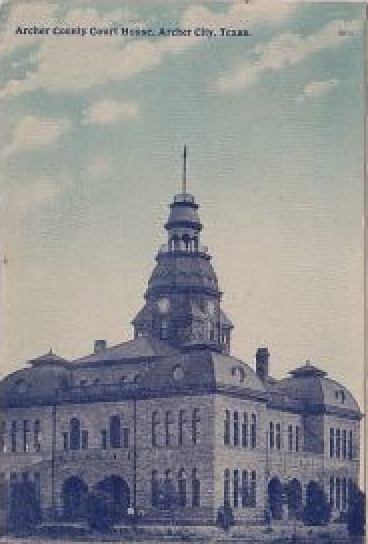 City Hall is across Sycamore Street from the eastern façade. 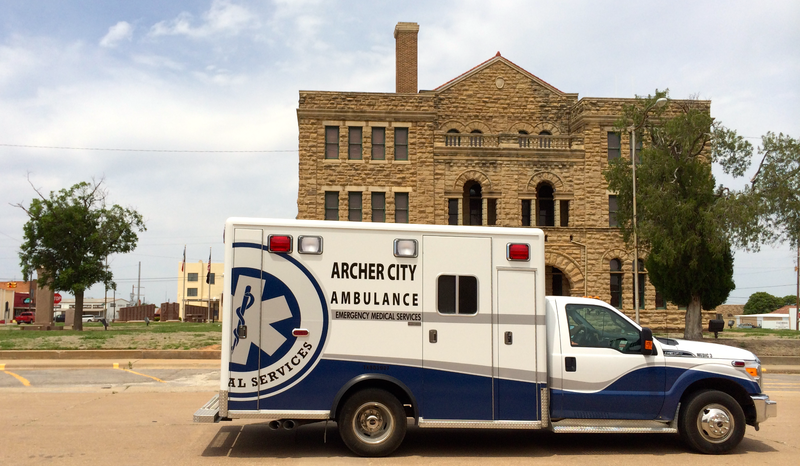 The sirens were not on as the ambulance drove by the southern façade. 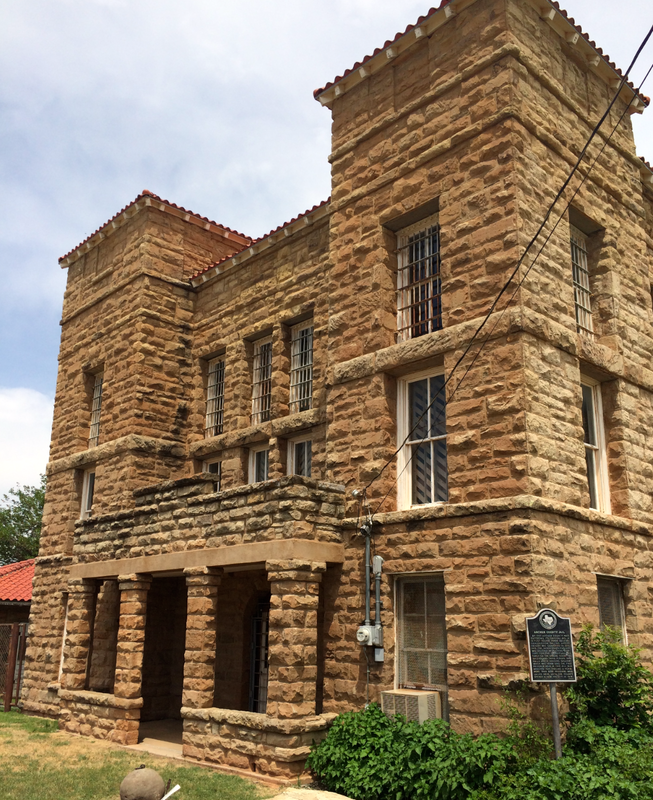 The courthouse annex is across Walnut Street from the southern façade. 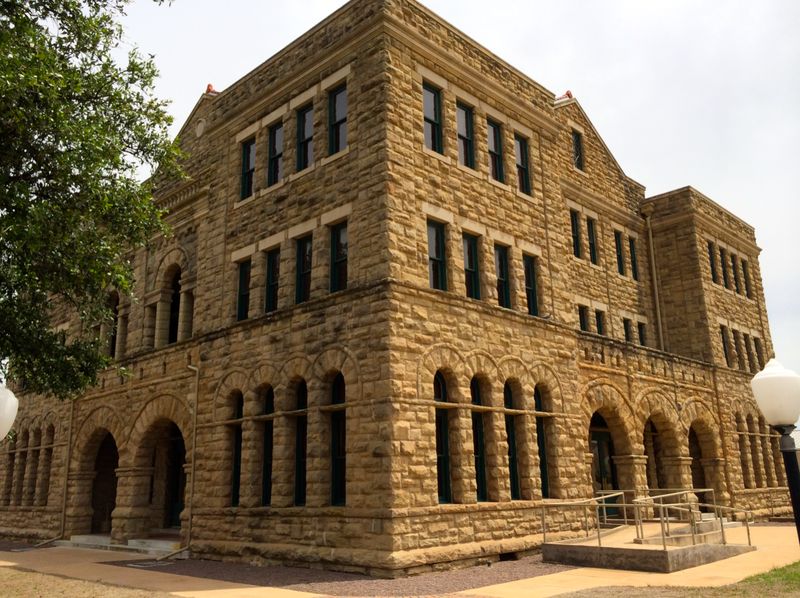 The western façade contains the courthouse’s single handicap ramp. 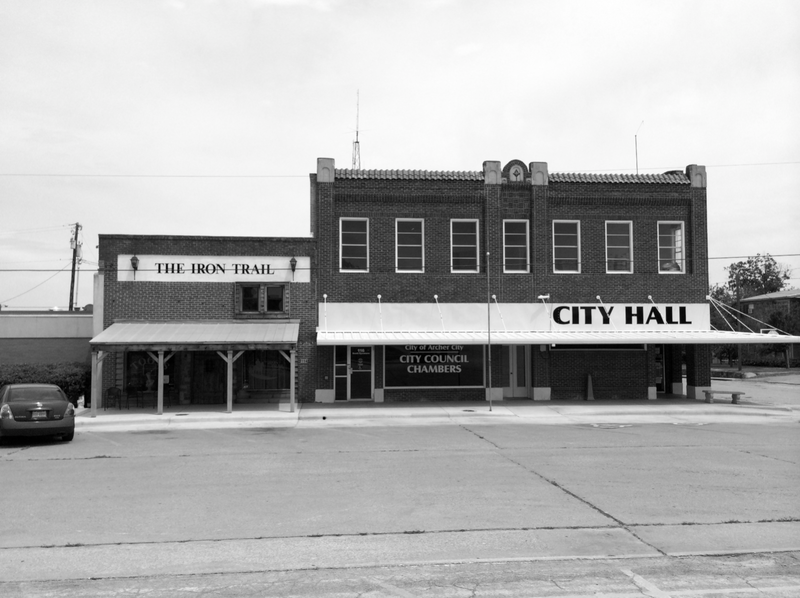 View of buildings along Center Street, as seen from the western entrance. 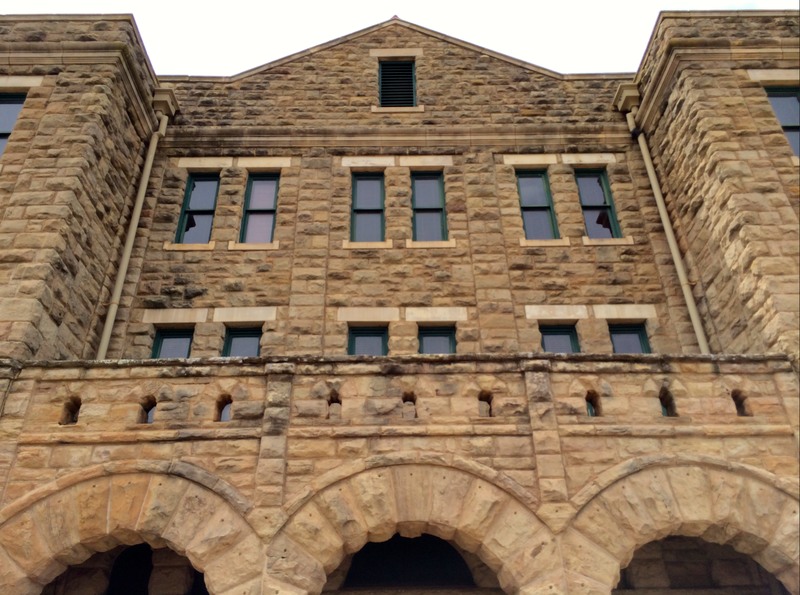 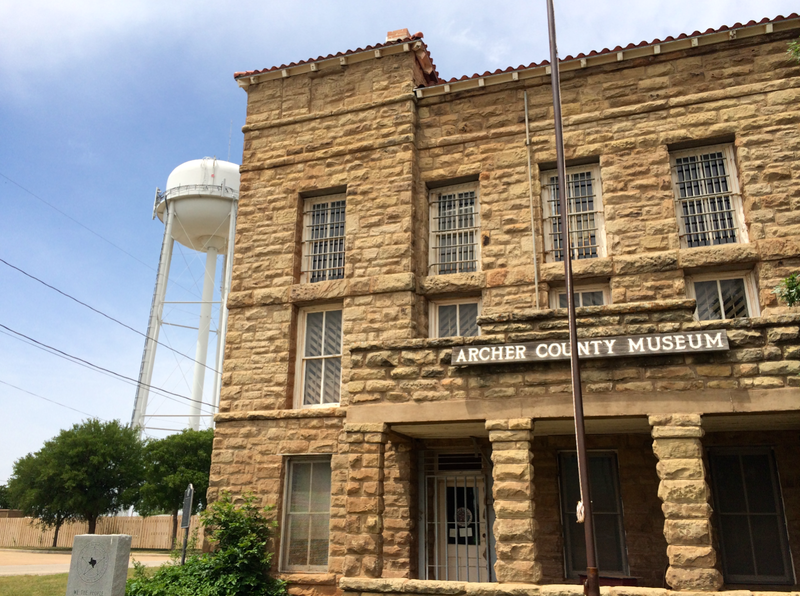 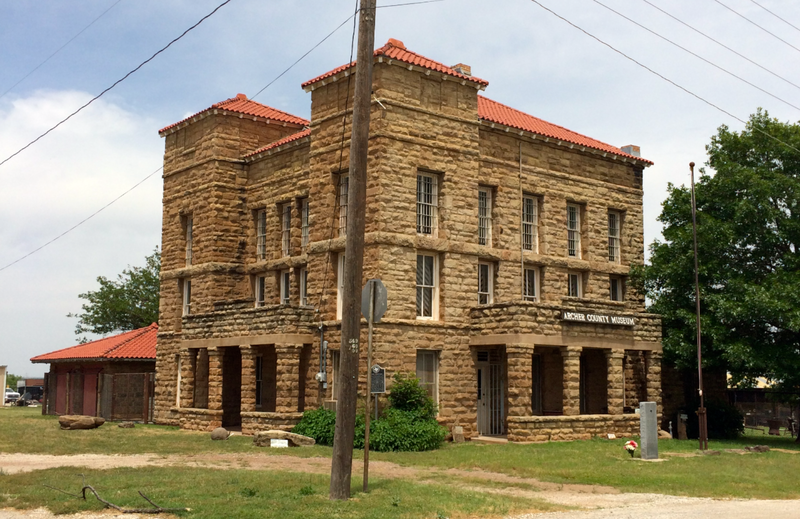 The historic Archer County jail, now a museum, is located at the corner of Sycamore and Pecan Streets, one block north of the courthouse. 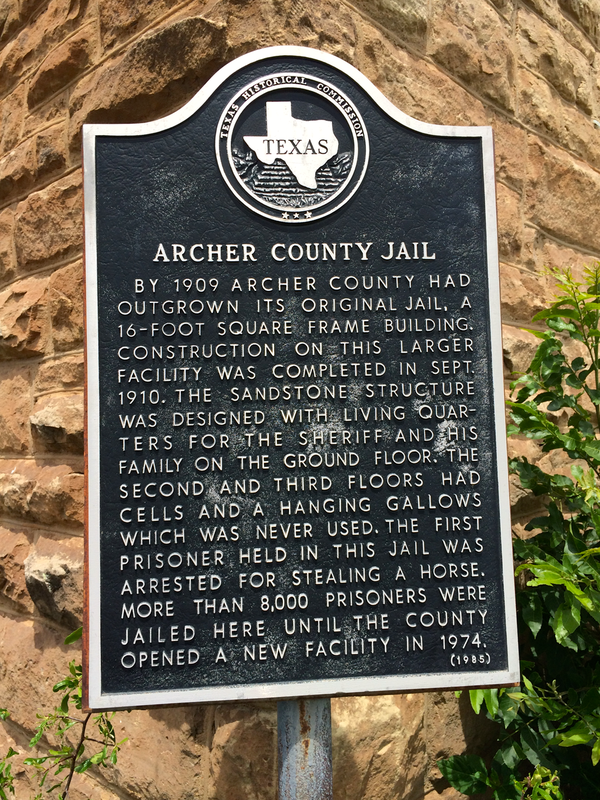 I had to stop and see it for myself.